A late leveller denied Saints a win over Golspie in muddy and wet conditions at King George V Park. The same starting eleven who traveled to Orkney the week before was named for the trip to Golspie, with only a couple of changes to the bench. Barry Kenny and Lewis Ross were the noted returnees, each back following spells away with work. An early chance for Golspie saw the hosts rattle the crossbar, but it was Saints who broke the deadlock after a quarter hour. Playing a neat through ball from his own half, Ross Tokely found Liam Rostock 25 yards from goal and the Saints front man reacted quickly to lob Graeme Williamson in the Golspie goal to make it 1-0. Following a flurry of Golspie attacks, Will Ross was unlucky at the other end with a 30 yard drive which flew just wide of the post. Moments later, a Jake Lockett chance deflected into the grasp of Williamson. The first of a string of impressive stops from Ali Matheson in the St Duthus goal took place half an hour in, when he got a hand to a Graham Macnab shot from close range, ensuring the ball was then cleared to safety. Macnab pounced on a slack backpass minutes later but after rounding Matheson he inexplicably squared the ball across the face of the goal, leaving Charlie Macdonald with the simple task of clearing the chance. A third chance for Macnab was shot across goal and wide of the far post. Golspie continued to heap the pressure on and Sandy Sutherland was next to try, but he hit the crossbar from six yards. From the rebound, Ali Matheson produced a superb reaction save to deny Macnab again. 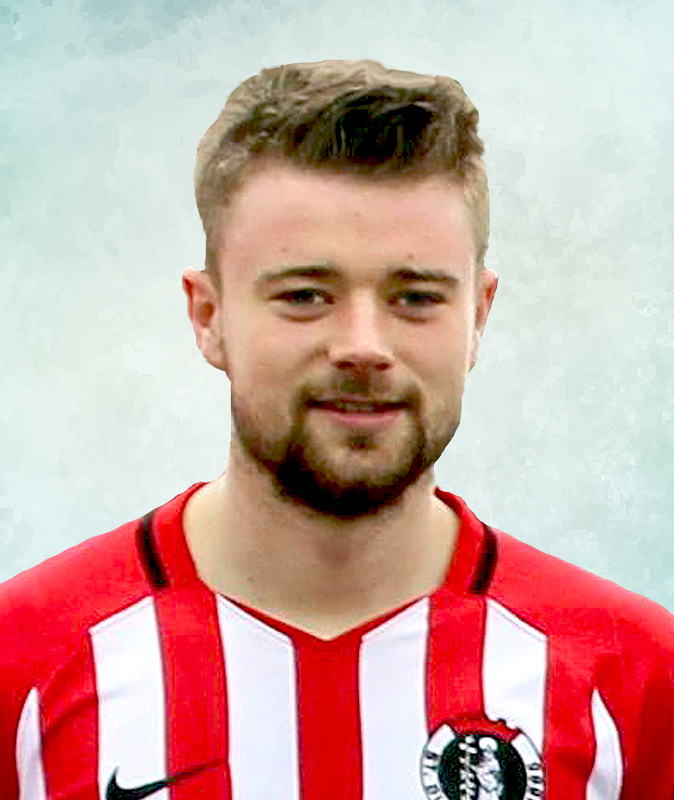 Matheson was called into action again on 40 minutes when Shaun Urquhart shot low from a tight angle, but the Saints stopper blocked the shot and turned it away for a corner. The Matheson first half show culminated in an excellent block from an Urquhart volley from the edge of the box on 42 minutes, as the Saints saw out the first period in the lead. The second half began with disastrous consequences for the Saints from a Craig Ross corner. Jumping to collect the ball, Ali Matheson collided with Liam Rostock and the ball fell out of his grasp before agonisingly bouncing over the line at his near post, handing Golspie the most fortuitous of ways back into the game. The bog-like conditions and continued downpour reduced the game to a scene more resemblant of a ploughing match and with balls being sent to either end, it was not until the 62nd minute that a second breakthrough was found. Collecting the ball from Barry Kenny inside the Golspie half, Ross Tokely made a sprint down the left hand side before showing his strength to beat two defenders. After cutting along the byline he played an inch perfect ball across the face of goal and waiting at the far post was Scott Miller to slam home his eleventh goal of the season. A cross from Craig Ross found the head of Lukasz Geruzel at the other end with 15 minutes remaining, but frustration was starting to appear within the home side's ranks. Geruzel again passed up a golden opportunity just moments later when he fired a shot over the bar from close range. With ten minutes left, Shaun Urquhart shot just over the bar with a looping effort as Golspie continued to bang at the door. It looked as though Saints may defy the odds and see the game out as winners, but alas, it was not to be. With just a minute of the game left, a wayward James Mackay strike from outside the box took a wicked deflection off the back of Cammy Mackintosh and found the net to make it 2-2. One last save from Matheson was required to close the game out level, getting down low to divert a Robbie Murray shot past the post.